Pension release means taking money early from your pension. You might also have come across the phrase pension access or pension unlocking; it means exactly the same thing. Early is pretty vague, can I take this money any time I like? As a rule of thumb you must be aged 55 or over to take money from your pension. In exceptional circumstances, including extremely poor health, you may be able to access your money before you are 55. So, how much can I take? As long as you have an eligible scheme you can take as much or as little money as you like from your pension. The first 25% of your pension is tax free, although you might have to pay tax on anything above that amount. How do I know if I have an eligible scheme, and what’s this talk about tax? All private pensions are eligible, as are most employee schemes. If you have what is known as a final salary scheme with your employer then you may need to transfer this to a private pension before you can take any money. It’s wise to think very carefully before doing this as you could be giving up guaranteed benefits when you retire. You cannot use pension release to take money early from the State Pension or unfunded public sector schemes which cover organisations and professions including the NHS, teachers, armed forces, civil servants, firefighters and the police. As you know, you can take the first 25% of your pension tax free; anything you take above this amount counts towards your annual income. This is why you need to take extra care if you are thinking about taking more than 25% of your pension, as this could push you into a higher income tax bracket. What happens to the money left in my pension? You have a number of options: from leaving your pension invested to grow for the time being, to starting to take an income from it. Absolutely. According to UK law, people aged 55 or over have been able to take up to 25% of their pension savings tax free since 2006. The pension freedoms introduced in April 2015 mean that you can now take as much money as you like from your pension. Tackling a debt, such as a credit card, loan or paying off the mortgage. Helping a family member with a big life event, such as a wedding or deposit. Replacing the car and making renovations around the house. Of course, you might have a completely different reason for wanting to take money early from your pension. Is it something I should do? This is the big question and there are lots of things to consider before deciding if pension release is right for you. While taking money early from your pension could make a telling difference to your life right now, it could affect the amount of money you have further down the line. Is this something you can live with? The best way to answer this question is to talk with a regulated pension advice specialist. We are making an educated guess that you are already interested in pension release and it might be that you are looking at a number of different companies. With this in mind we have listed below some absolute musts to bear in mind on your internet travels. Of course, you can pick up the phone to us at any point and we will help you. Is the company regulated by the Financial Conduct Authority (FCA)? Your pension is too big a deal to take lightly, so the bare minimum you should be looking for is a company regulated by the official government body. It’s easy to check – simply use this register: our FCA company number is 754580. If the company is not registered then it could be a scam. Unfortunately there are different types of pension scams and they can all result in you losing a lot of money. Find out more about what to look for when researching financial advisers and don’t forget that using an FCA-registered company is the best way to stay safe. How much will it cost you to review your pension? If you want to take money early from your pension then the best thing – and in some cases the only thing to do is seek regulated financial advice first. Generally the adviser will review your pension before giving their recommendation and the cost for this can vary wildly. Our view is that people shouldn’t have to pay to get expert advice on what to do with their pension. That is why we only charge clients a fee if they agree with our recommendation and instruct us to act upon it. What are the options for your remaining pension? If you ask an adviser to review your pension, with the aim of taking money from it early, then they should advise you on what to do with any remaining pension fund based on your needs and circumstances. You should steer clear of any company that is not willing or able to do this for you. What could the impact on your life be? It feels great to finally put an issue to bed. The outcome is usually less worry and distractions, and ultimately that means more time to focus on the things that are really important to you. This is the impact pension release could have on your life. The important thing to remember is that pension release is not right for everyone, as it could reduce the amount of income you have in the future. That’s why asking for regulated, independent advice from a pensions expert should always be your first step. 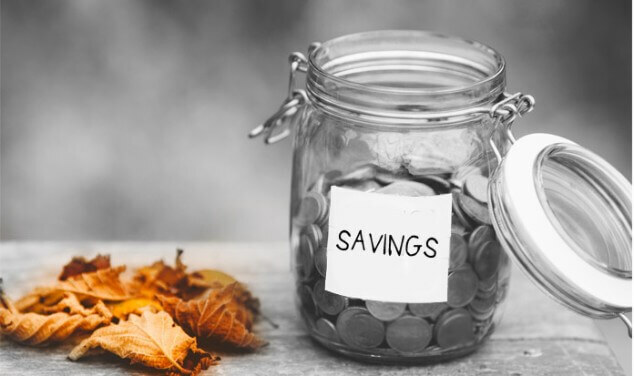 Releasing your pension benefits early could reduce your income at retirement and therefore is only suitable for a limited number of people and circumstances. On this page we talk about your pension and tax implications. Tax treatment depends on your individual circumstances and may be subject to change in the future.